GL:’ I agree with you. 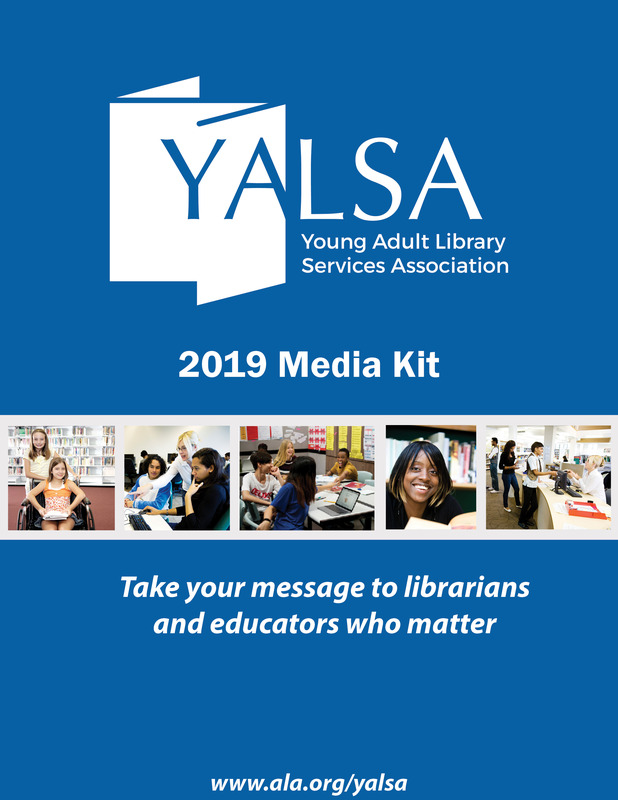 What did you receive funding for from YALSA/FOY? 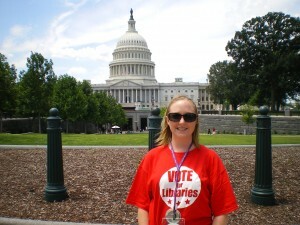 HG: Friends of YALSA awarded me a $1,000 travel stipend to attend Library Advocacy Day in Washington, D.C., in conjunction with the American Library Association’s Annual Conference in 2010. ‘ ‘ All of my conference expenses come out of my own pocket, so receiving the grant was definitely a big help.’ I had never attended Advocacy Day before so the $1,000 was a real incentive for me to get up the courage to become involved. GL: It does take a lot of courage to speak to legislators on the importance of school libraries. How did this funding have an impact on your career? HG: Attending Library Advocacy Day really changed my perception of Advocacy.’ Before I attended Advocacy Day, I thought it would be really difficult and scary.’ I attended a webinar and a workshop session prior to the visit, and felt really prepared afterwards.’ I had literally no prior experience with advocacy, but YALSA presented so many great materials that it made the experience easy.’ It helped tremendously to have the support of other librarians to lead the way and set an example for me to follow.’ The trainings also helped me realize that advocacy isn’t just a once a year event, but there are little things you can do each day to advocate for your programs.’ As a result, I dedicated the next year towards coming up with one thing to do each day to promote and advocate for my library program.’ I resolved to “pay it forward” by presenting at my state library association’s conference in 2011.’ The result was a conference session presented at the California School Library Association joint conference with California Library Association titled: “A School-Year of Advocacy;” featuring 180 ideas to advocate for your program on a daily basis. Also, my wiki has my presentation at the CLSA conference and my blog has my experience in DC. GL:’ Wow, Heather, that is impressive.’ I like how you paid it forward. On another note, what would you tell someone about donating to FOY and the reason it’s important for members (and non-members) to do? 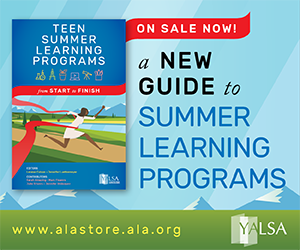 HG: If you serve teens, donating to Friends of YALSA is a great way further support YALSA’s mission.’ Recipients of YALSA’s scholarships get introduced to leadership roles, and are given experiences that will lead to further involvement in YALSA. 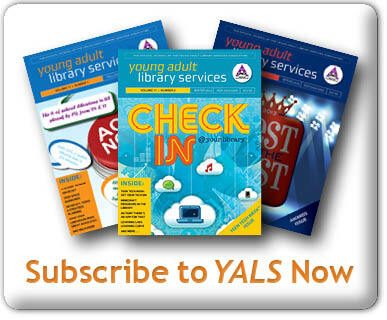 GL: What YALSA committees are you currently serving? HG: I previously served on the Quick Picks for Reluctant Young Adult Reader’s selection committee and am currently serving on the Great Graphic Novels for Teens selection committee. Gregory Lum, Library Director at Jesuit High School in Portland, OR, served as admin on the 2012 Michael L. Printz selection committee. He was recently elected to the 2014 Printz selection committee. 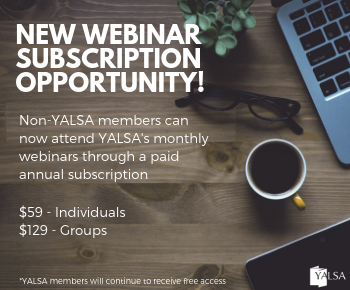 Tagged advocacy, FOY, Friends of YALSA, National Library Legislative Day, scholarships, stipends. Wow, what a great idea to pay-it-forward. I just love it when librarians come together and get passionate about something. Thanks, Heather, for giving that passion a voice! And thanks to everyone who donates to the Friends of YALSA and makes experiences like Heather’s possible (and from which we all benefit). Reading this interview made my day! 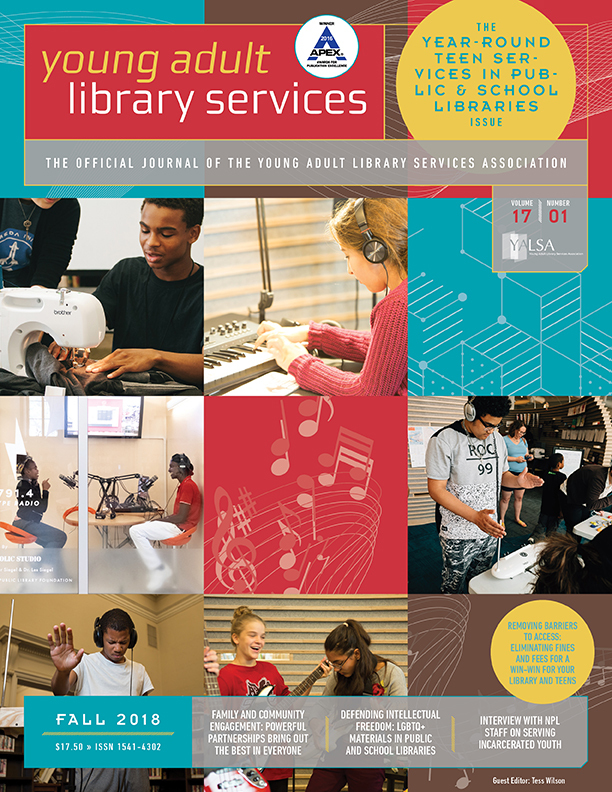 I’m so proud to contribute to an organization that has such a powerful impact on the daily lives of librarians and the teens that they serve. Thanks to Heather for sharing the your story and for using your experience at district days to widen the youth advocacy net as well! And thanks to Gregory for putting on a spotlight on great work.